Since the night it happened, I had been wanting to speak with Donald Trump about his response to the man who claimed the President was a Muslim and who said Muslims were a problem in this country and asked when we can get rid of them. Last night on my show CNN Tonight I had the chance. I told them directly that I thought he could have handled it differently. Lemon- “If something like that comes up again, would you handle it differently? Trump was heading back to New Hampshire for a town hall meeting for the first time since that incident happened. Trump told me it was not his business to defend President Obama. I told him it was not a question of defending the President but more of defending the truth. And then I asked if he, himself thought Muslims were a problem. Trump – “By the way most Muslims, I know many, are great people just so you put it on the record. Lemon – “Do you think Muslim’s are a problem? Trump – “Look, again. You probably won’t put this part but many people who are Muslim, living in this building here, but it have great friends. They are phenomenal people and most of them are like that. I told Donald Trump that I don’t just hear Conservatives discussing him. I hear Liberals and even people of color who say they like his candor but are concerned about some of his statements. The obvious question to me was are you racist? Trump replied by talking about his appearance at the South Carolina African American Chamber of Commerce last week where the leadership wrote him a note saying it was the best event they ever had and it was sold out. I didn’t get that during the interview, but it sounds like he thinks I’m a supporter. I think what he means is that I treat him fairly, yet I will confront him when I think he’s wrong – like on the President/Muslim issue. No doubt in my mind that Trump’s a bigot, just look at the way es answering his questions tripping over his words, yall shouldnt be puttin g Don down you should be putting down the man who deserves to be PUT DOWN in more ways than one if you know what i mean! Lemon is getting more and more naive everyday! Who in the world doubts Trump is a racist? He is a powerful, rich, white supremacy whose goal is to protect white sovereignty in his own special way. He speaks obliquely, the way America likes to hear her racism spoken. However, it is a language we all understand. jhuf*—–I would never be a member of the GOP—-they are stuck on stupid and not in touch with REALITY!!!!!!! Allowing 200K or more of them would be an assault on our economy if nothing else. Mr. 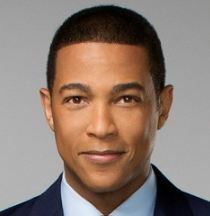 Lemon should have dug all up into Trump and held his feet to the fire regarding the issue of RACE!!! Don needs to Grow A Pair!!!!!!!! Why would Don grow a pair, he doesn’t use them.